Education staff in over 100 countries have been using OneNote Staff Notebooks to save time, get organized, collaborate more effectively and capture activities such as professional development and classroom observations. Today, we are pleased to announce that school leaders, teachers and education staff who do not have an Office 365 Education account can sign up for free and create OneNote Staff Notebooks for their schools. In a few simple steps, education staff leaders can add staff members into their Staff Notebook; set up a collaboration space for meeting notes, shared curriculum or initiatives; create a Content Library for read-only staff material; and add a private workspace for each staff member. 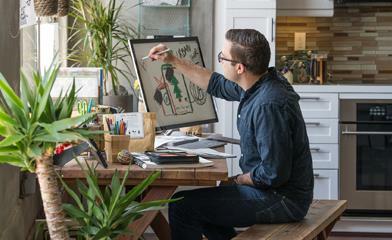 All of this is within one powerful notebook and free with Office 365 Education. 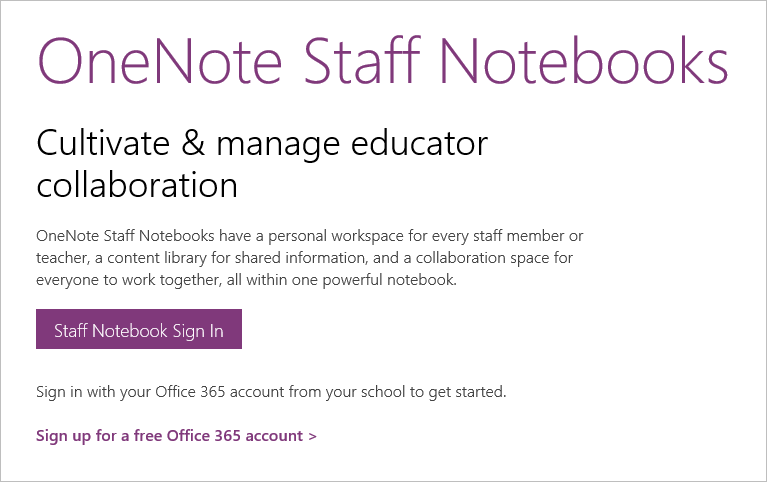 All you need is a school-assigned email for each staff member to get them into the Staff Notebook and give them free access to Office 365 Education. Sign up or sign in—To sign up for a free Office 365 account, visit onenote.com/staffnotebookedu and click Sign up for a free Office 365 account. On the Office for Education page, enter your school email address to check if your institution is eligible for a free Office 365 account. Follow the simple, free account setup process. 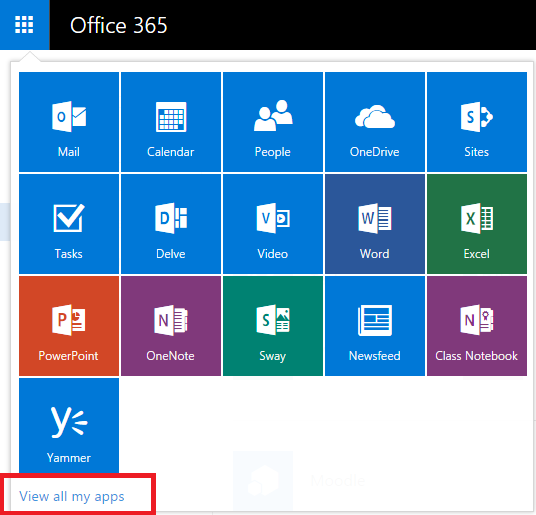 If you already have an Office 365 account set up by your school, just click Staff Notebook Sign-In to sign in with your existing Office 365 credentials and launch the Staff Notebook app. Step through the Staff Notebook wizard—First, give the notebook a name and then add a co-owner or staff members by simply entering their school email addresses. 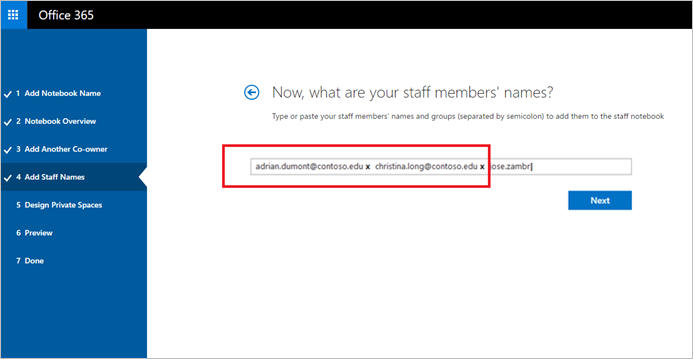 The Staff Notebook app sends them an email invitation to set up an Office 365 account and add them to your Staff Notebook. At the end of the setup process, you are shown a preview of what your Staff Notebook will look like. Simply click Create if everything looks good. In the final step of the wizard, you receive a link to the notebook, so you can email it to your staff members or post it up on a shared page. Just click the notebook link to open your Staff Notebook in OneNote and your staff members receive an email asking them to accept your invitation to join the Staff Notebook. Make sure they accept it so that they can access your notebook. For more detailed instructions and answers to frequently asked questions, please visit our help document. For overall Staff Notebook frequently asked questions, read this article. As always, you can reach us on Twitter @OneNoteEDU or email us directly at OneNoteEdu@microsoft.com with feedback. Also, don’t forget that there is free OneNote professional development for you and your staff members available at OneNoteInEducation.com.